It’s time to start a new year (possibly a new decade, depending on how you want to look at it), but before we do that, let’s take a look back at what 2010 meant for the space sciences. As far as lobbing the most things up into space this year, Russia takes the cake. 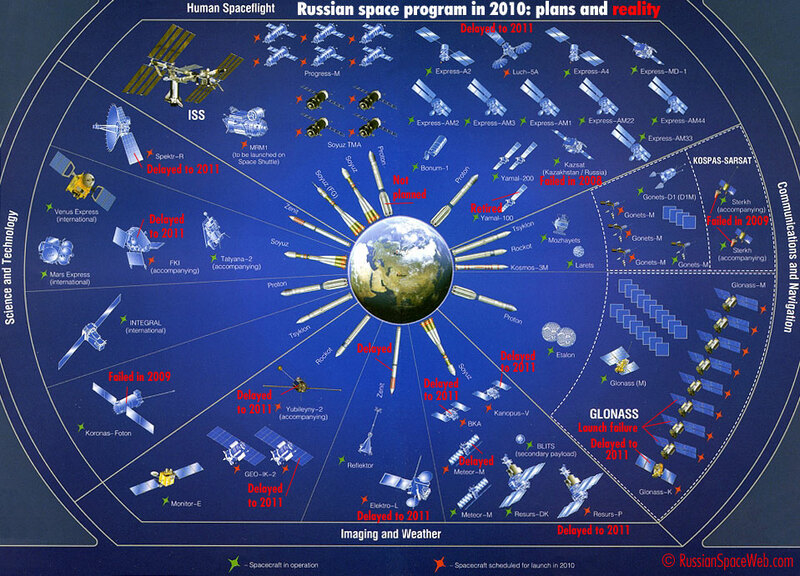 There were 74 space launches in 2010, and close to half of those (31) were undertaken by Russia. The USA and China each had about half as many as Russia; 15. The European Space Agency sent up 6 rockets. Rounding out the remainder were India with 3, Japan with 2, and Israel and South Korea each with 1. Four launches in the world were unsuccessful. 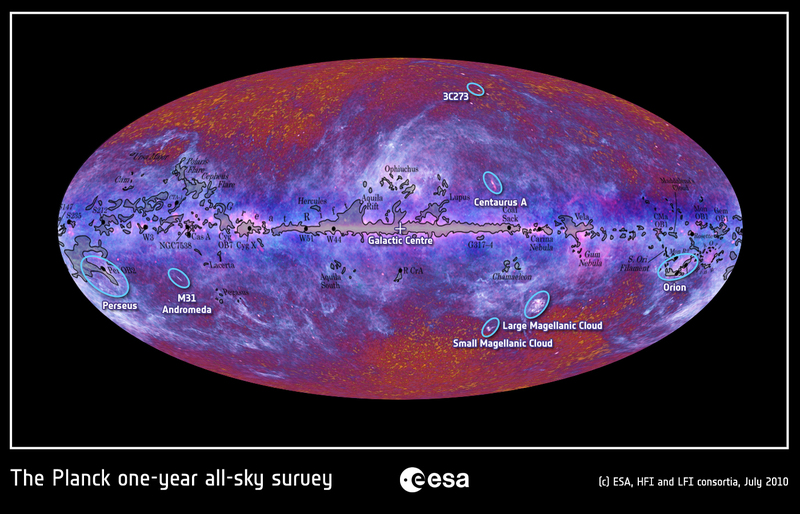 The European Space Agency had a successful year. Their Cryosat-2 Earth explorer launched in April (following the failed launch of Cryosat-1 in 2005) is live and collecting data on how Earth’s ice fields are responding to global climate change. 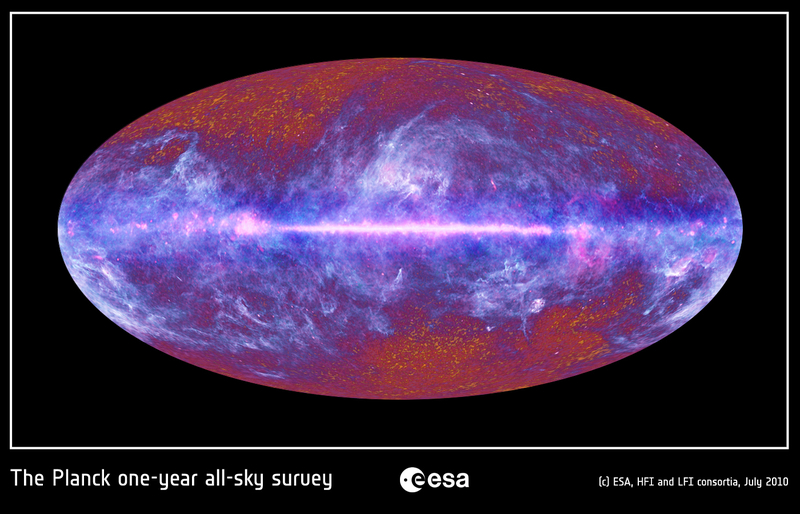 You’re seeing the microwave sky as seen by Planck, which will continue in 2011 to map out the Cosmic Microwave Background. 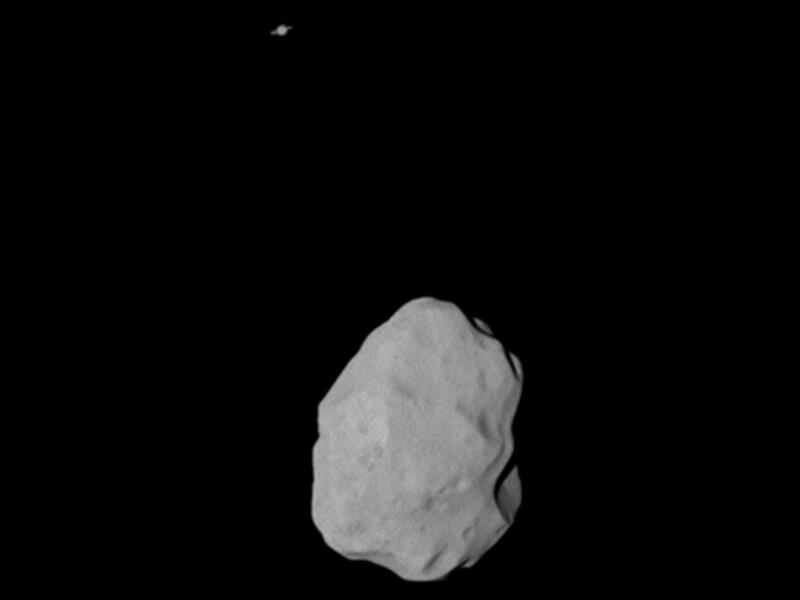 ESA’s comet-chaser, Rosetta, performed a fly-by of the asteroid 21 Lutetia. Saturn! And I can’t help to notice that this is just about what Saturn looks like on Earth through a Galileoscope. I’m just beginning to scratch the surface of ESA’s contributions to space science in 2010, but we’ll have a chance to get to know what they’re up to over the next year, as we continue to cover Rosetta, Planck, Cryosat, and more! NASA had a big year in 2010. President Obama laid out a new direction for NASA in February, and in April, detailed plans for future space exploration. I certainly hope to see it too! 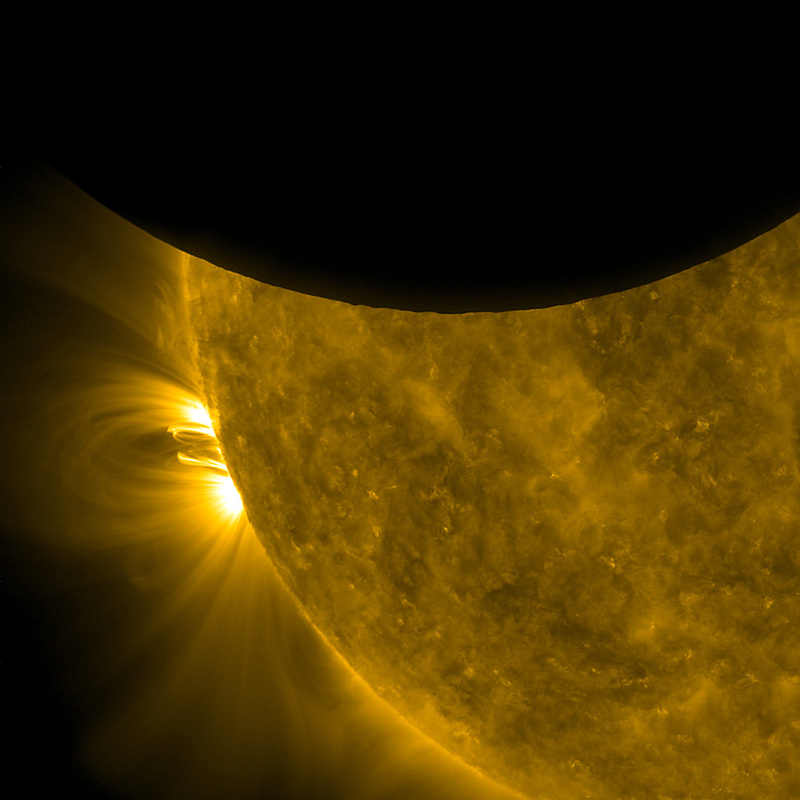 This October 2010 image shows a solar eclipse from SDO’s vantage point. Finally, NASA brought us the science (and unncessary hooplah) around some arsenic-munching bacteria. With rampant and irresponsible speculation following NASA’s pre-announcement teaser — “an astrobiology finding that will impact the search for evidence of extraterrestrial life” — release, many of us anxiously awaited the release of the actual report. Unfortunately, NASA didn’t announce the discovery of alien life. It also didn’t announce that it found life on Earth actively consuming arsenic — although many media reports said otherwise. These bacteria were collected from a lake and brought to a lab where biologists replaced some of its phosphorus with arsenic, to which it apparently managed to continue growing. Simply, all life as we know it uses phosphorus as a backbone of its DNA, so knowing that something could survive and grow with arsenic in place of phosphorus would re-write what we know about how life exists in the universe. However, at the time of this writing, there’s some serious criticism of the findings. Hopefully, it will be ironed out in 2011. And that’s just a tiny sampling of what NASA is continuously kicking out. Japan Aerospace Exploration Agency (JAXA) had a bittersweet year. Bitter: Their third planetary explorer Planet-C (Akatsuki) failed to insert itself into Venus’ orbit. The mission isn’t lost though, as they’ll get a re-do in six years when the craft re-approaches Venus. I’m sure JAXA will find ways to conduct science with Akatsuki in the meantime. Sweet: They launched the first space-kite! IKAROS (Interplanetary Kite-craft Accelerated by Radiation Of the Sun) is the first project to demonstrate interplanetary travel using solar-sail technology. So far, IKAROS is working beautifully and may form as the basis for alternative means of getting around in the galaxy. Sweet+: JAXA’s Hayabusa craft also completed the legwork on a mission that launched in 2003. 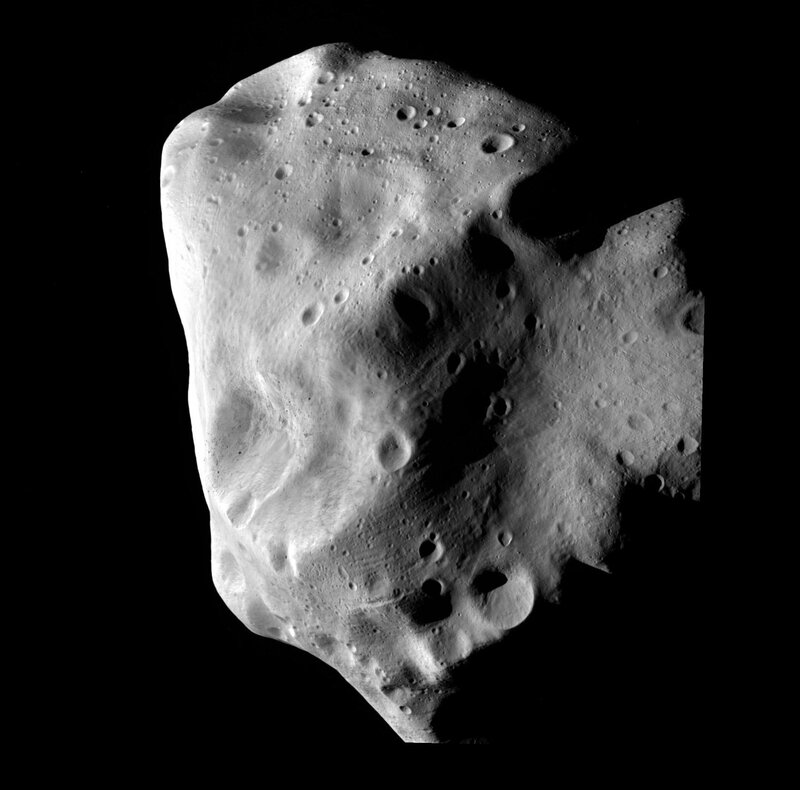 The mission was to approach an asteroid, touch-down to collect particle samples, and then return them to Earth for analysis. While the mission ran into a number of complications, ultimately it was a very remarkable feat of engineering and technology. The spacecraft, and samples capsule, returned to Earth in June of 2010; with the spacecraft burning up on re-entry (as planned). In November, JAXA confirmed that most of the particles collected were in fact from the target asteroid, Itokawa. Further analysis is ongoing. The mission is an exciting example of what JAXA is capable of, and I recommend reading a full account of the entire mission. The private sector also began to get involved with spaceflight in a big way in 2010. SpaceX conducted the first successful launch and recovery of its Dragon capsule in early December 2010; the first time this has been accomplished by a private company. Virgin Galactic’s sub-orbital SpaceShipTwo completed a number of manned glide tests, paving the way for SpaceShipThree, which will be an orbital craft. While we’ve covered a number of major events in 2010, I’ve actually only scratched the surface. A single blog, let alone a single blog post, simply can’t cover everything that multi-billion dollar budgets, devoted to space sciences from dozens of countries around the globe, accomplish in a given year — and 2010 was a great one! So to 2010, “Well done!”, and now on to 2011! Tagged 2010, ESA, JAXA, NASA, recap, Roscosmos, space science.